Industrial Hemp Could be Indiana’s Next Cash Crop, By Senator Young Jr.
By Senator Richard D. Young Jr.
190,000 jobs. To ensure agriculture remains a vital driver of economic activity, it’s imperative lawmakers consider common sense options to improving and diversifying yields. Southern Indiana was once a leading provider of industrial hemp rope during the war effort of World War II. Put simply, hemp is an excellent alternative crop. It can be harvested just 120 days after planting and requires no particular soil or climate. Hemp is a very leafy plant and produces more oxygen than other crops. It is a dense plant making it difficult for sunlight to penetrate the leaves and reach the ground, freeing it of weeds. It is naturally resistant to pests, so there is no need for herbicides or pesticides. Last legislative session, I authored a resolution to take a closer look at the benefits of pursuing the production of hemp. After much research, I recognized the potential economic impact of hemp in Indiana. Its production is not only agriculturally feasible here, but it is safer for the environment and consumers than traditional plastics or textiles. Hemp and hemp products can be recycled and are 100 percent biodegradable. 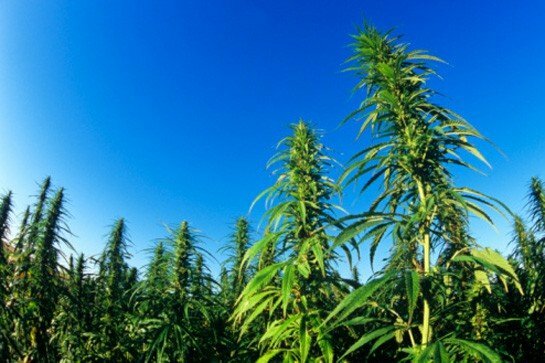 Hemp can be grown as alternative to subsidy-dependent crops like corn and soy, and can provide an alternative safeguard should the market for traditional crops decline. Its potential to replace pulp paper could make Indiana hemp a staple of modern manufacturing, and could lead to a reduction in global deforestation. Ten states including Kentucky and West Virginia have recognized the agricultural, economic and environmental benefits of promoting the growth and marketing of industrial hemp. I believe that hemp needs to be a controlled crop with the appropriate oversight of the Department of Agriculture to ensure that marijuana is not grown with the hemp. The Indiana Farm Bureau supports and prioritizes legislative action to allow industrial hemp operations in Indiana. I look forward to bringing this issue before the General Assembly in 2014. As always, I’d like to hear your thoughts and ideas on the issues that matter most to you. Please contact me at (800) 382-9467 or s47@iga.in.gov. hemp, hemp legalization, indiana, senator richard young jr.
INDIANA NEEDS TO LEGALIZE GROWING HEMP. YOU HAVE MY VOTE.